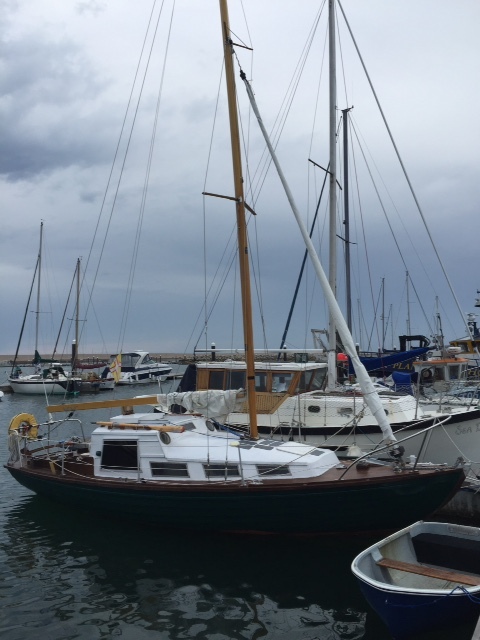 ‘I am re-rigging my vintage wooden Folkboat over the winter and converting her to a gaff ketch! I will have for sale a Sitka spruce mast and boom, made to order for me just over a year ago, by Collars. ‘I would be prepared to accept either cash or a shorter wooden mast, and gaff. My new rig will feature a loose-footed mainsail. I am 73 and need a less lively set-up as I tend to sail single handed! If you’re interested, email me at gmatkin@gmail.com and I’ll pass the message along.